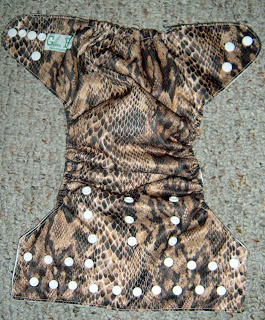 This snake-print diaper is a pocket diaper with a microsuede inner. I love microsuede because it is stay-dry (meaning the baby feels dry even after wetting the diaper) and because it seems to stay soft even with our hard water. In fact, when I changed Baby E. out of this diaper, I had to try really hard to figure out if it was actually wet or not! You will notice in the pictures that the wings have a lot of snaps. Don't let that intimidate you! 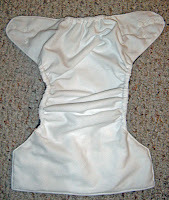 All the snaps serve a purpose: the lowest snap on the wing is to prevent wing droop, and to keep the wings parallel to the front of the diaper. The upper row of snaps has two snaps to attach to the front of the diaper and two snaps facing out in case you need to make the diaper incredibly tiny and have the wings overlap. That feature means that this diaper would fit well even on a newborn! 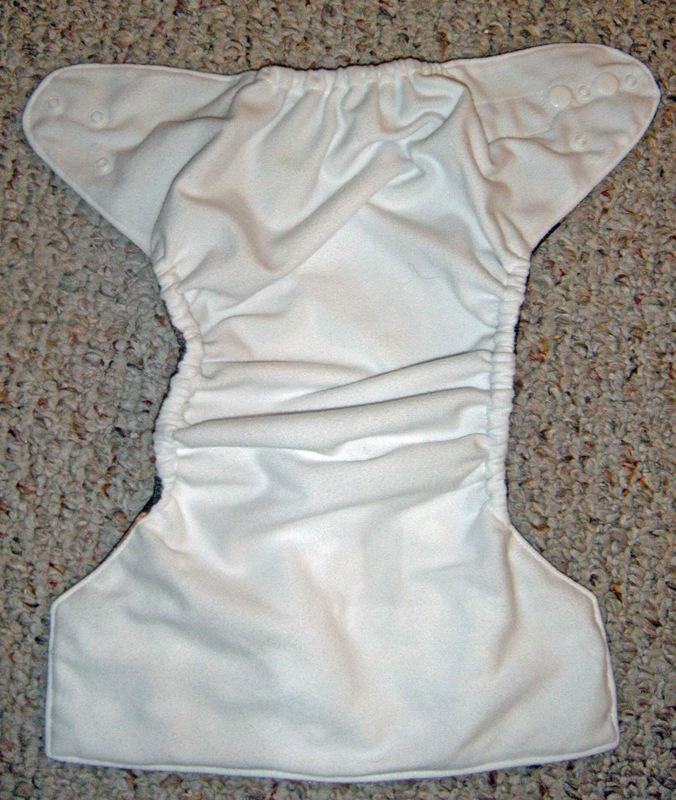 The inserts included with this diaper were two 3-layer microfiber inserts. In the photo, Baby E. is only modelling one insert, as she was just hanging out in the daytime. The insert absorbed everything wonderfully and we had no leaks at all. The inserts are nice and trim. My only suggestion to improve this diaper would be to make the back opening for stuffing the diaper a bit wider. I have small hands, but still found that the opening was narrow. 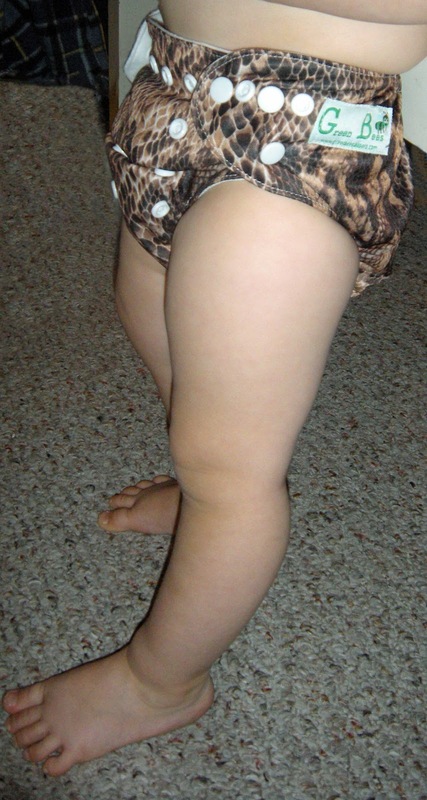 This makes the diaper cuter while being worn, in my opinion, but also makes it more difficult to stuff. 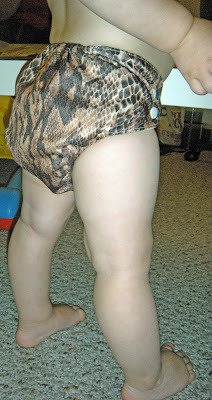 As for wearability, Baby E. moved and grooved in this diaper. She ran around the living room, ate some apples, and climbed and slithered all over me--inspired by the snake print, perhaps? The Green Bees cloth diaper really moved with her and the elastic stayed against her skin without pinching or bagginess. I was very impressed with the gentle yet secure fit of this diaper. You can see in the pictures that the diaper hugs Baby E.'s legs and waist. 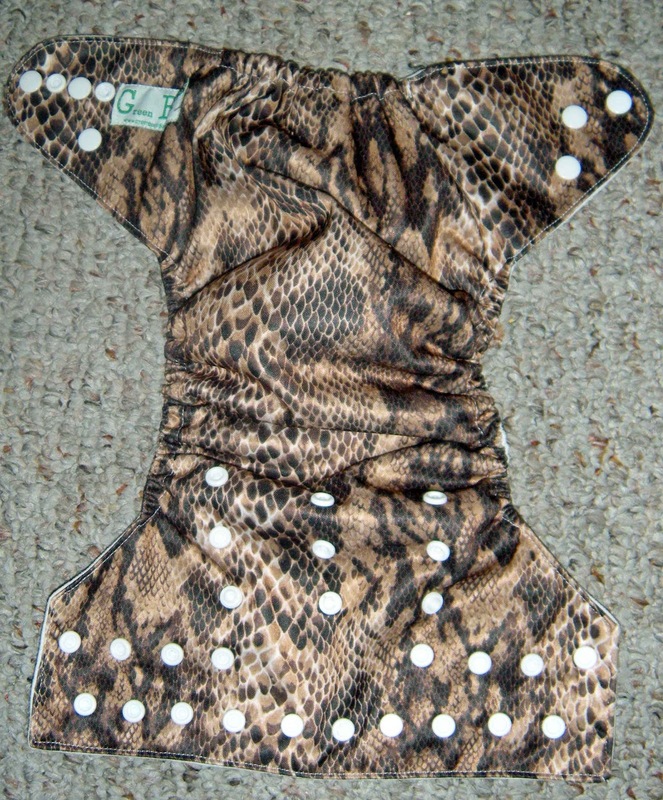 Overall I am very happy with this cloth diaper! We will definitely reach for it as it has the features that we love (snaps, one-size, micro-suede) with a great fit for our 18 month old! 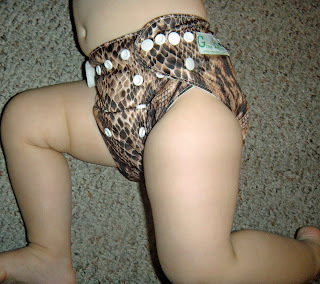 You can also be assured that Green Bees is a great company to support: for every 15 cloth diapers sold, they donate 1 diaper to emergency infant services in Tulsa in order to provide diapers to families in need. What a wonderful policy! 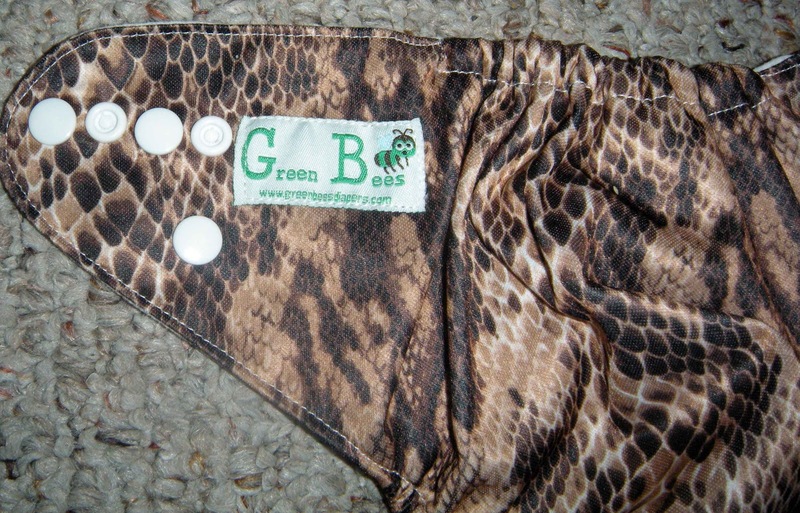 Are you interested in 2 Green Bees Cloth Diapers of your own!? Enter to win the Green Bees Cloth Diaper Giveaway here on my site!